Arthur Brooke died at nineteen in the wreck of the Queen’s ship The Greyhound in March 1563, just months after the narrative poem attributed to him had been published. Researcher Nina Green has shown that Brooke had been a close relative of William Brooke Lord Cobham (1527-1597) and that in December 1561 he had been admitted to the Middle Temple for the study of law. 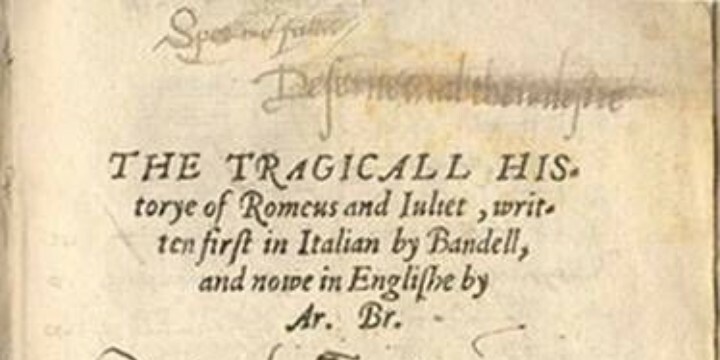 Also, given young Oxford’s demonstrable interest in literature, he was surely familiar with Romeus and Juliet, the acknowledged principal source of one of Shakespeare’s greatest plays. 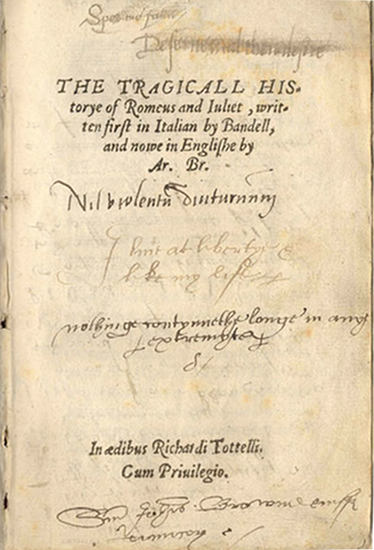 Just as the earl was personally linked to Shakespeare’s favorite classical source, the Metamorphoses of Ovid as translated in the 1560’s by his Uncle Arthur Golding, here in the case of Arthur Brooke we find him personally close to the source material that inspired Shakespeare in the creation of his works. At this point we have good enough cause to suggest Brooke’s long poem as one more “reason” to conclude that young De Vere grew up to become “Shakespeare”. After all, imagine the fuss that orthodox scholars would make if Will of Stratford had been connected even remotely to Shakespeare’s main source for Romeo and Juliet! But there’s also the rather obvious possibility that Oxford himself had composed Romeus and Juliet by the age of twelve, causing it to be published under “Ar. Br.” – an abbreviated form of “Arthur Brooke”. In This Star of England (1952) the Oxfordian authors Dorothy and Charlton Ogburn quote from a 1944 essay by Professor Ned P. Allen, who cites “parallels between the old poem and the play, passage for passage, demonstrating that, in many respects, the play Romeo and Juliet is a highly finished, more mature version of the poem.” The Ogburns, aware that Oxford had written fluent French at thirteen and that many of his poems (or song lyrics) in The Paradise of Dainty Devices had been written before he was sixteen, concluded that Romeus and Juliet could be his earliest printed poem. And, Ogburn added, the mature author would have turned “the awkward effort into the undying drama of the star-crossed lovers as we know it” by way of “repaying a debt to the earnest, striving boy” he had been in 1562. 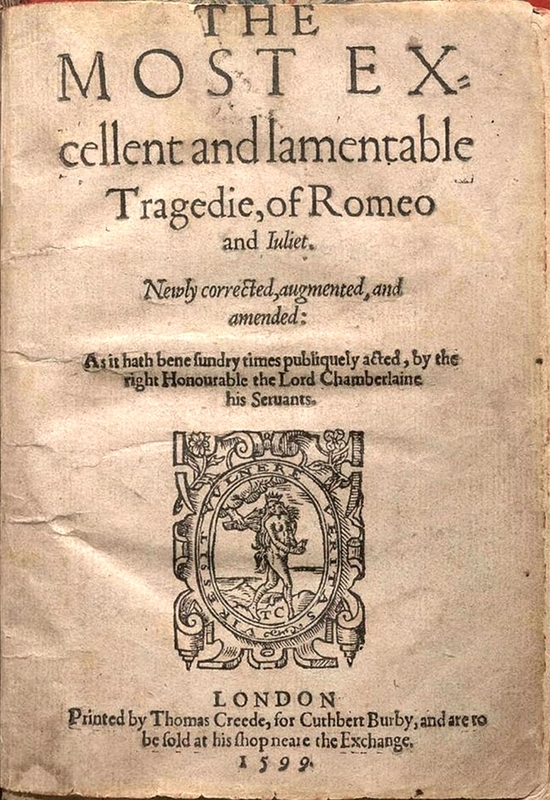 More recently, however, Oxfordian scholar Paul Hemenway Altrocchi has made the most convincing case that Edward de Vere had written the main source of Romeo and Juliet in his childhood. 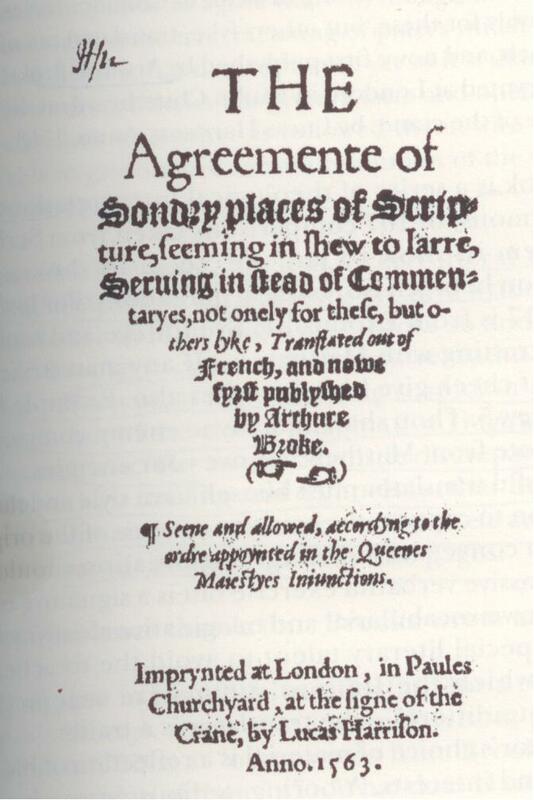 In a paper reprinted in his collection Malice Aforethought: The Killing of a Unique Genius (2010), he reminds us that in 1563 was published The Agreement of Sondry Places of Scripture by the same Arthur Brooke who died at nineteen that year. This second book is a series of translations from French of contradictory biblical quotations such as “Eye for eye and tooth for tooth” (Exodus) versus “If any man strike thee on the right cheek give him the other also” (Matthew). Not half a wink of quiet sleep could harbor in her head. That rest have banished from her heart, and slumber from her eyes. And now for fear she shivereth, and now for love she burns. And now each hour within her head a thousand fancies frames. The writing in Sondry Places “bears not a scintilla of similarity to the imaginative, verbal beauty” of Romeus and Juliet, writes Altrocchi. “On linguistic evidence alone, especially since the two works were written in consecutive years, logic suggests that Brooke should be expunged from any serious consideration as the author of the captivating Tragicall Historye” of 1562. So maybe Arthur Brooke was Oxford’s first pen name. Rother is the old English word for ‘a horned animal, especially an ox’, and Brook is ‘a body of running water smaller than a river; a small stream’ just as ‘ford’ is a small stream possible to cross. Do we have a wordplay here? Arthur/Rother/Ox + Brooke/Ford = Oxford. Thanks. At the very least, given that Arthur Brooke was in fact a real person, Oxford would have loved that name for precisely the reasons you say! Looks like Shakespeare wasn’t really that original. Oxford was rewriting his youth’s anonymous works. Remember Pandosto from Greene and Winter’s Tale, etc. As far as I am concerned, Romeo and Juliet was rewritten from this poem, by the same author, by as an adaptation to his affair’s with Vavasour, right Whittemore? I found it really pitful: lately, I have been searching for Stratfordian’s conclusion on works like this. Romeus and Juliet, The Spanish Tragedy, Pandosto… they all say that it’s look like young Shakespeare wrote them. When will people wake up and see he really did… because he was someone else’s pen name?! It’s curious the case they made for the Man of Stratford against so many clues. The hifen one it’s fulminating (I called hifen argument to the one that says Shake-Speare, with hifen, indicates pen-name… look to Martin Mar-Prelate and Tom Tell-Truth. Hifen means Pen-name) and yet they just ignore it. They cite every document and argument as they can’t but I never read of a Stratfordian justifying the hifen in Shake-Speare. 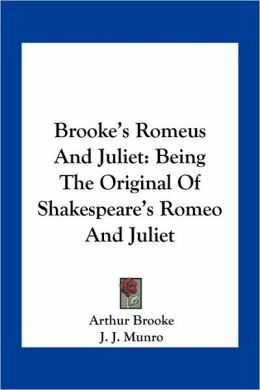 Some may argue against Oxford’s authorship on Brooke’s Romeus and Juliet, but I think you and me know exactly Oxford was able to wrote something like that with 12 years old. I tell for self experience it’s possible. Give a 11 years old boy/girl enough time and books about poetry and the final result may amaze you. Fascinating connection, Richard. It would be wonderful to know De Vere’s relationship to that work attributed to Brooke, and to Brooke himself, not to mention his working relationship. Even at age thirteen he may have helped get the biblical work published. Great insight, and thanks. Whittemore, talking on Oxford’s pre-Shakespeare works, what do you have to say about plays like King Leir and A Shrew? Do you think they were written also by Oxford as the first versions of would have been Shakespare’s The Taming of the Shrew and King Lear? I see Shakespeare as the result of a very mature poet who wanted to expose more than he could. I would say Shakespeare is the best reinvention in History, if not the best, at least one of the best. Oxford picked up all his knowledge, his anonymous works, mixed the present with the past, recycled myths and stories to make the story of his life and shout out all his feelings during the 1590’s and 1600’s. Yes, Shake-Speare is, indeed, the greatest reinvention. Oxford’ sister, Mary de Vere, was engaged to Peregrine Bertie in July 1577, even against the will of both families. Mary and Peregrine married soon after Christmas of that year. Is there any possibility that Oxford originally write “Twelfth Night” to be presented to the couple in 6 January 1578 and rewrite it in 1581, refering to Edmund Campion’s death, and even later to attack some of the Queen’s suitors? To comprehend Shakespeare’s works, including those he ‘borrowed from’, it is imperative to study Tudor politics and the religious factions at court. Without knowing any of this the plays are meaningless entertainment. To truly comprehend him become a historian. He is 100 times greater as a journalist!